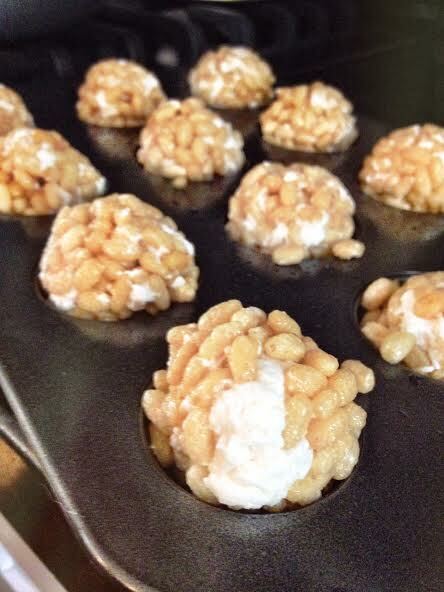 I took a spin on the classic Rice Crispy Treat recipe making it a little healthier! 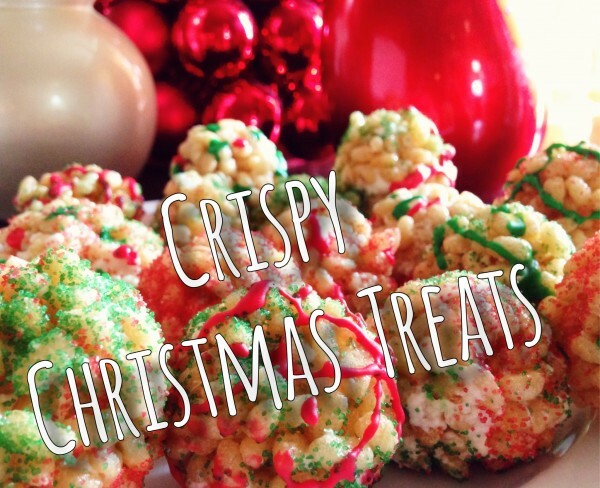 Read more about how I made these treats using better ingredients keeping you off the "Naughty" List this year HERE! This is a fun recipe to do with your kids, or like me... with your friends kids! In a large saucepan heat up your butter or oil and add in your RiceMellow, stirring together until completely melted. 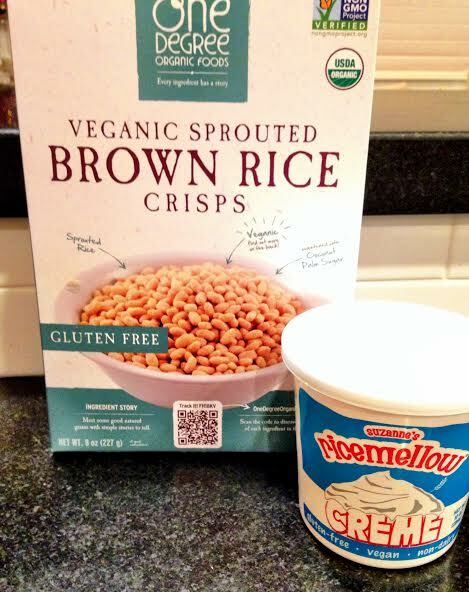 Add in your Brown Rice Crisp cereal and stir, stir, stir! Using your hands or a spatula place your treats in your choice of pan. I used the donut hole pan creating round shapes. I’d press one side down and then turn over rounding out the other side.